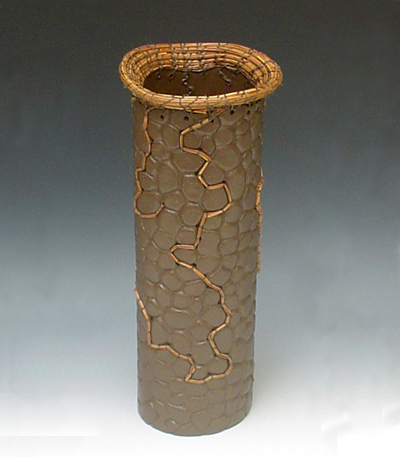 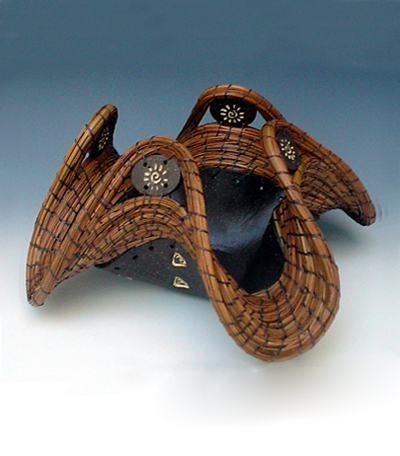 Melanie Walter discovered the lost art of pine needle basketry in the early 1990’s, when she bought a house that had over 100 long leaf pine trees on its property. 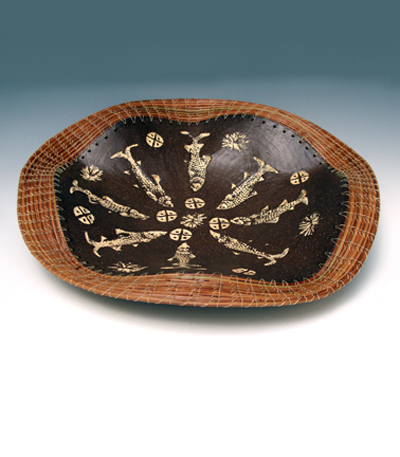 She soon developed her own pine needle basket making style, incorporating many natural materials into her work including sliced black walnuts, hickory nuts, and bamboo. 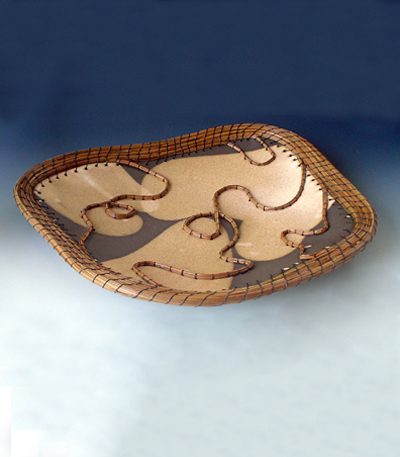 In 2001 she created her own business, Pine Garden Baskets, and developed a website (www.pinegardenbaskets.com) to share her work. 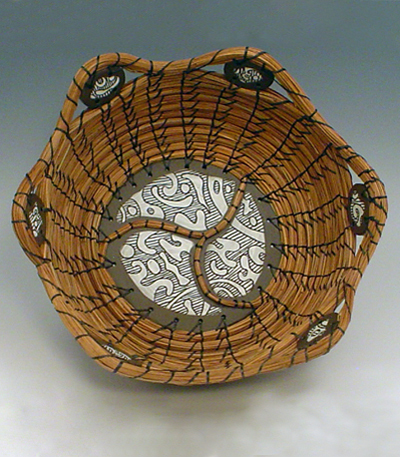 Over the last five years, Melanie has begun adding clay components to her pine needle baskets, taking her work into a new and exciting direction. 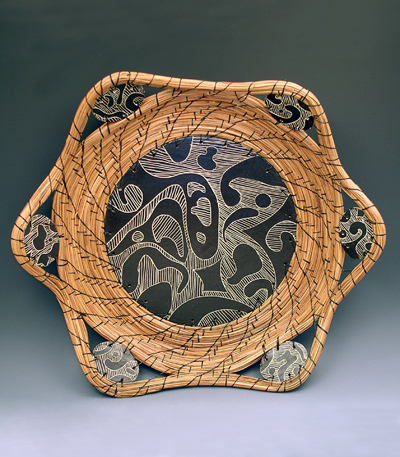 She won a Regional Artist Grant from the Cumberland County/Fayetteville Arts Council in 2009, is a recent winner of a Merit Award from the Buyers Market of American Craft, and a Finalist for the prominent Niche Award offered earlier this year. 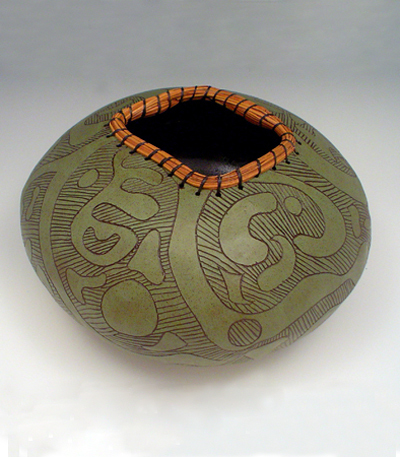 Her work is currently located in 35 galleries throughout the country.